I've demolished the "s" key on my laptop's keyboard, and I'm typing on an attached deal, which is easier said than done. I'm also seriously, seriously behind in the alert function I'd like to provide, but here you go. The descriptions will of necessity be short, as I have quite a few titles I want to get through, and I'm opting for the lazy man's layout of big pitchers in the center, titles ordered alphabetically by the author's last name. On with the show! Alan Cheuse is an interesting writer; he loves science fiction, thrillers and the literature of the fantastic, but he does not exactly write them; not exactly. But his fiction is deeply informed by their visions, structures and pacing. 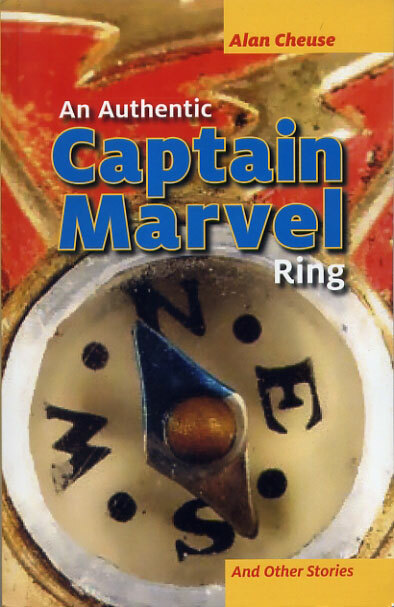 Readers can slip into 'An Authentic Captain Marvel Ring & Other Stories' with the assurance that they will get the best of both worlds; grounded fiction about people you might know, or wish you did not know, or might actually sort-of be, but seen with a clarity and imagination that one might find in a rather different genre. Here's a book you can read with the assurance that you will know more about your own soul going out than coming in. Depending on how you feel about such things, replace the word "assurance" with the word "warning." Any child of the first Space Age (1957-1972) knows and to a certain extent still lives with the name of Werner Von Braun. 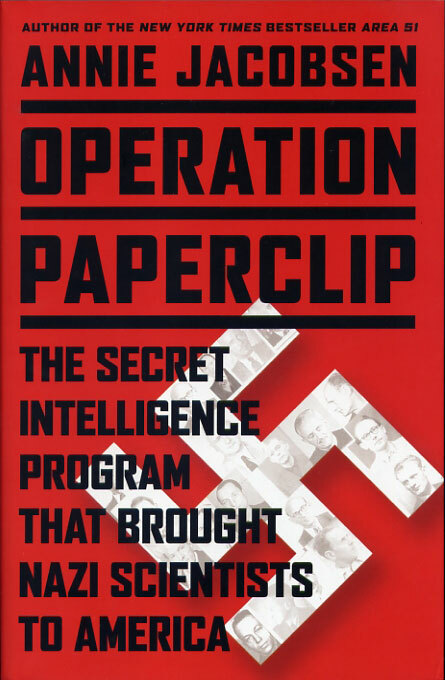 But the man who helped us take our first steps towards the Moon had a problematic resumé, and in 'Operation Paperclip: The Secret Intelligence Program That Brought Nazi Scientists to America.' Annie Jacobsen delves into the very unsavory specifics of the heretofore little-discussed program that turned war criminals into US scientists. It seems like a nice follow-up to Jophn Rizzo's 'Company Man,' a look at the officially secret history of the USA. Michio Kaku is a master of a very unique genre; non-fiction science fiction, and for those who have seen him on TV or better still, read his books, he's an easy must-buy. His latest is 'The Future of the Mind: The Scientific Quest to Understand, Enhance and Empower the Mind.' Kaku excels at organizing his work, taking readers on a journey from, in this case, the inner mind to the outer limits. What I love about Kakuy's work is that he gets the whole mind-expanding sense of wonder you find in science fiction while writing well-researched and entertaining non-fiction. And how can you resist a mind-expanding book about expanding the mind? 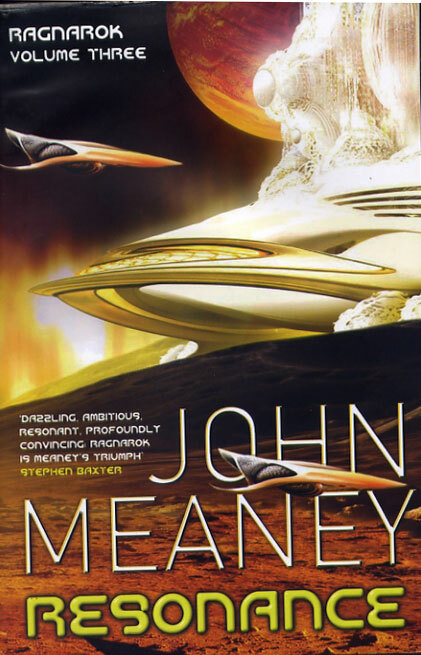 It's one of the many quizzical bits of the science fiction genre that John Meaney is not a household name like Frank Herbert. For this reader, he manages to evoke the same sense of wonder and sense of scale that Herbert brought to 'Dune.' And if you, like me, like your trilogies finished before you start reading them. it's now safe to start reading Meaney's "Ragnarok" series. The first two books. 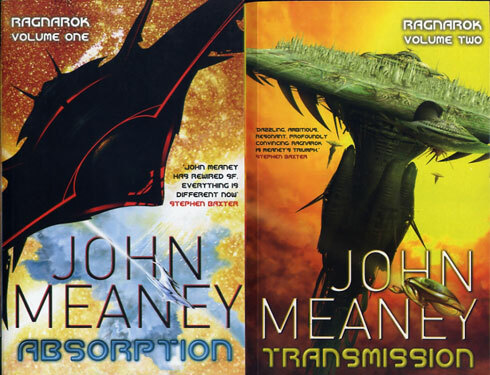 'Absorption' and 'Transmission,' are available as nice trade paperbacks, and the third book, 'Resonance', has just come out in hardcover-size paperback. While these books transpire in the 'Paradox' universe, you need not have read those books to grok these. That said, if you haven't start there. In this series, we find three characters from disparate time periods heading for a confrontation with darkness. Meaney knows how to use a few words and intense scenes, crafted with resonant prose, to evoke the vastness of space, the infinity of the human race and the strangeness of the universe. This is top-notch, classic space opera, done particularly well. If you like big-screen, high quality space opera, here it is, a feast for the mind. Kem Nunn knows the darkness as well, on a personal level. 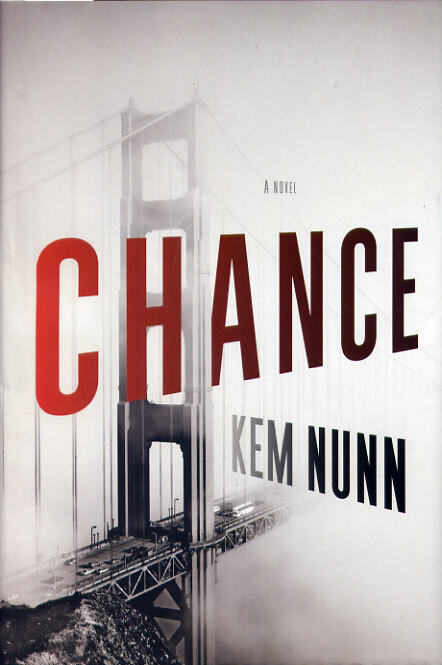 His new novel, 'Chance,' introduces Eldon Chance, a forensic neuropsychiatrist with a more troubled life than even he might be able, or willing to deal with. 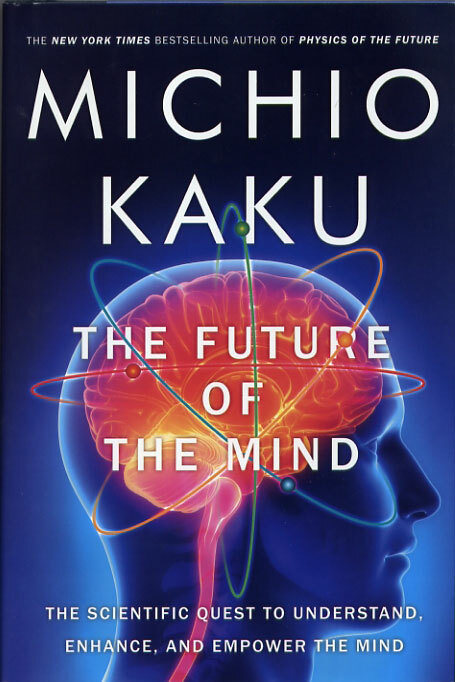 Readers looking for what can happen when you're inspired by a Michio Kaku book to write a novel, might find this the perfect example, though I'm pretty sure that Nunn didn't have the pleasure of reading 'the Future of the Mind.' Like most classic mysteries the premise is pretty simple. Chance becomes involved with a woman who is herself rather troubled, and some of her troubles stem from her violent husband. Probably a situation to stay away from, unless you're lucky enough to get to read about it. Nunn has managed in the past to weave bits of Flannery O'Connor and H. P. Lovecraft together. Accomplishments like this managed to get him nominated for National Book Award, and his work is rare enough that you should seek it out whenever you can find it. 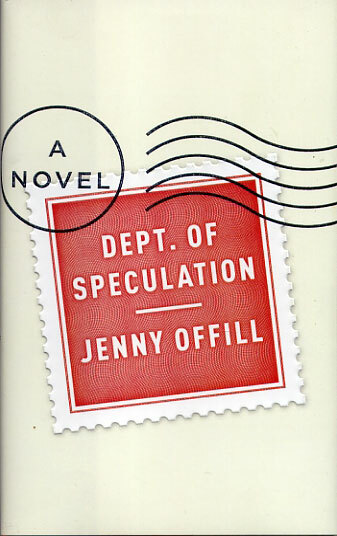 How could I resist the new novel by Jenny Offill, given the title 'Dept. of Speculation'? It's not speculative fiction, so to speak, but it does involve lots of speculation, and is written in a sparse, read-it-in-a-day style of prose. "The wife" and the husband once corresponded with letters marked "Dept. of Speculation." In standalone paragraphs and 177 pages, Offill carves out a vivid and peculiar vision of married life. While you ight be tempted to think of the book as a novella, and you'll read it faster than many a novella, Offill manages to fulfill the promise of a novel in much less space. Pick it up, and try to put it down. Then take it home, finish it over a nice afternoon, and think long and hard about just who you want to give it to. 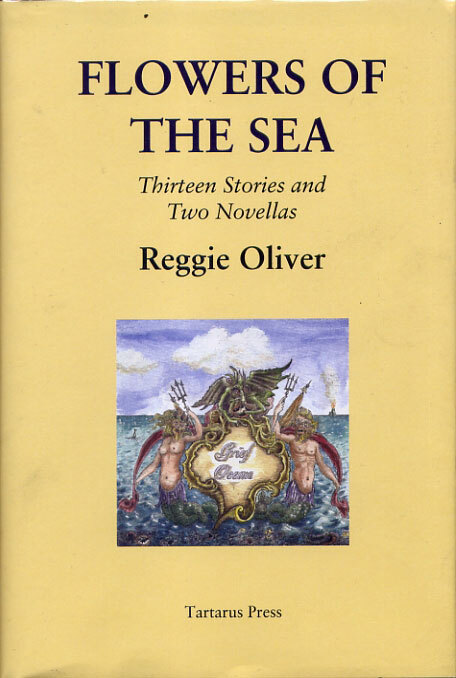 One of the things I find so amazing about the book business is that authors like Reggie Oliver don't have their name up in lights in times Square, gloriously announcing The NEW REGGIE OLIVER COLLECTION 'Flowers of the Sea' from the madly-talented folks at Tartarus Press. Oliver's latest includes all the treats you want; novellas, illustrations by the author, short stories, the strange, characters that are impeccably created, great book production values; this is what reading is all about. If you've ever wondered why I seem so enthusiastic about Tartarus and Oliver, this collection can act as the perfect example. Be careful, because you might end up buying a lot of Oliver's work after this. Fortunately, Oliver withstands reading and re-reading. 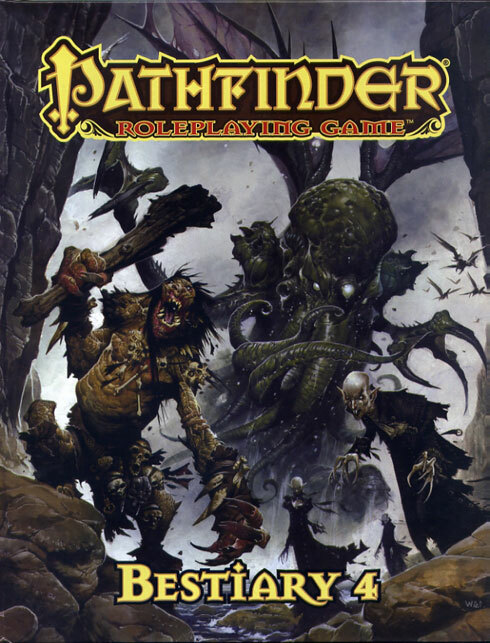 I know zippo about the Pathfinder RPG, the games, the stories, or anything else, but I LOVE a good bestiary and 'Pathfinder Roleplaying Game Bestiary 4' is totally outstanding; perhaps the best I have ever seen. Lavishly and excellently illustrated by a huge team of artists, 'Bestiary 4' goes well beyond any confines there might be to the PathFinder world and may indeed lead this reader and others to look at their line of fantasy novels. Superb Lovecraftiana, kaiju and a lot of stuff I never heard of but really enjoyed seeing and reading about. This is the perfect reason to retreat into a child-like state of innocence ultra-monsters. I've been an Adam Roberts fan from his very first novel, 'Salt,' an early review for this website. 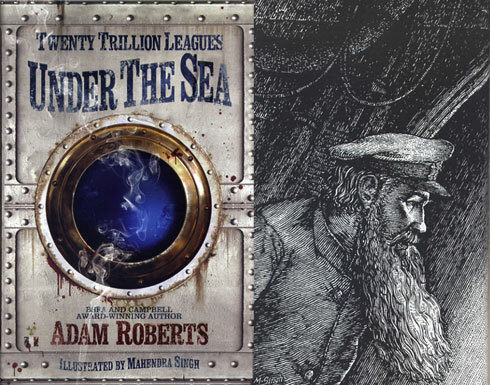 His latest, 'Twenty Trillion Leagues Under the Sea,' with lovely, wonderful illustrations by Mahendra Singh, follows the adventures of the first French nuclear submarine, Plongeur, a voyage beyond the limits of this globe. Roberts has written beautifully in straight-up SF, satire and here, in pastiche, he continues his fine work. The illustrations are essential, giving the book the ethereal, antique feel it both requires and deserves. Mark Valentine, like Reggie Oliver, is another one of those writers who deserves his name up in lights. 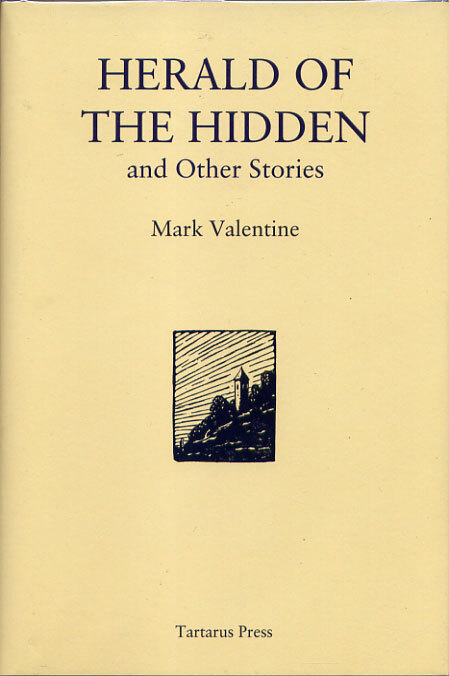 'Herald of the Hidden' collects ten Ralph Tyler, occult detective stories, three of them never published. Tyler is no esoteric, ethereal guru-type; he knows his supernatural, and plays his cards close to his chest. The stories are told by his friend, the narrator, adding a very nicely-done literary turn to the literally ungodly proceedings. Readers who enjoy the new brand of "urban fantasy" will find here the top-notch, classy, but down-and-dirty detective noir version. And finally, there are the books that as books have a sort of supernatural presence. 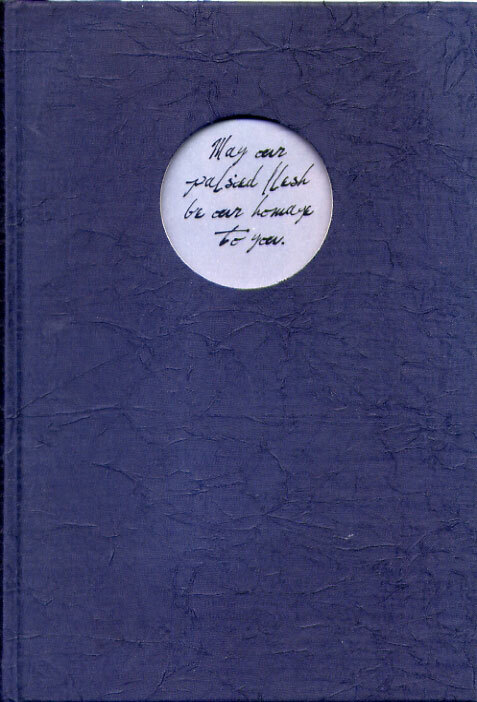 I've come across none more palpable than 'Transactions of the Flesh,' edited by D. P. Watt and Peter Holman an Ex-Occidente production guaranteed to give you the severe creeps even before you start reading. And once you dip in, prepare to experience compulsion to read with repulsion at a rate you'll find hard to believe. It's a tribute to Joris-Karl Huysmans, and it lives up to his anarchic, terrifying spirit. Or at least the stories here are both anarchic and terrifying. The package is beyond to-die-for, the stories will give you the experience of death without the finality (though some may make you long for it), and every time you pick it you might think it is going to move. Books were made to be this beautiful and awesomely frightening. Miss it at your own peril, a phrase that will make the most sense to those who actually buy it. Trust me, we are all damned. I'm an absolutely perfect example of the Internet Failure. If you're going to go hell, you'll want something appropriate for the waiting room. I'm told it takes a while to get served; perhaps, eternity. 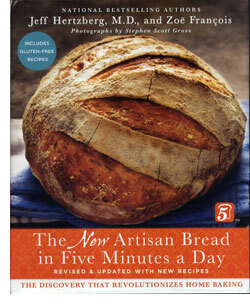 It's been almost seven years since I received 'Artisan Bread in Five Minutes a Day,' the first book by Jeff Hertzberg, M.D. and Zoë François. I recall my reaction quite precisely; "It can't possibly work, and I'm going to prove it." At that time, my experiences attempting to make bread were pitiful. The two or three hand-made loaves I'd made were more like plaster of Paris sculptures than food. In desperation, I tried a bread machine, and for my trouble I had to scrape out a material that was a cross between rubber and cardboard. Suffice it to say that I approached that first book with a good deal of skepticism, and for my trouble was rewarded with a series of books that now make it possible, and extremely easy to have delicious home-baked any day of the week, with as advertised, about five minute of work on any given day. The latest spin, 'The New Artisan Bread in Five Minutes a Day' is a revamp of the first that massively expands it, adds a lot of new recipes, a lot of great photos and is perfect for re-energizing one's bread-making. If you don't have any of the books by these authors, here's a great place to start. If you do, then this book will buff up your interest in baking bread, and give you some great new recipes. The major difference here is that Hertzberg and Fracçois have added an entire section of gluten-free recipes. As one who flirted with this diet a while back, I can speak from experience in saying that what you can get at the grocery store is both tragically expensive and marginally edible. Not so with what you find here which gains the great virtue of freshness. I usually bake in a small tray, a sort of "mini-loaf," and this is definitely the way to go if you want or need a gluten-free loaf of bread. As with the regular breads, once you have your ingredients in place (more are required), you can whip a big batch of dough that keep well and will provide you with four or five loaves on demand. The master dough goes together quickly, and then on bake day, you grab a slab, let it rise and toss it in a preheated oven, exactly as you would with the "normal" bread. As for new normal recipes, the highlight for me was the Wisconsin Cheese-Beer bread. It tastes great out of the oven and when you use it for a panini, the cheese caramelizes and gives the bread a crispy "Cheezit" flavor. There' also a recipe for cooking bread in the crock pot, which is perfect if you want a softer loaf, for example, if you're cooking a brioche. You can brown it a bit in the oven, but the crock-pot cooking convenience is really nice. 'The New Artisan Bread in Five Minutes a Day' is a great gift, and a perfect one-stop shop if you want to start making bread. It's as easy as advertised. You'll find recipes for everything you need in here, from soft-white American style bread to crusty wheat bread to flatbreads and pizza. To the degree that the bread you might eat moves directly to your waist, buy it at your own peril. But if you are buying bread at the store, here's the book that will have you buying flour and yeast (and cheese and beer) instead. How can you go wrong with that? For a flavor, you can check out their extensive website at artisanbreadinfive.com. By an accident of birth, I'm between the big dividing lines of generation. 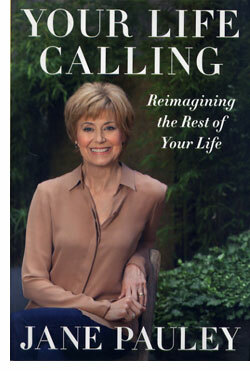 But I'm far enough along to be square in the sights of Jane Pauley's 'Your Life Calling: Reimagining the Rest of Your Life,' which is to say I long ago finished my first career and I'm still on the hunt for a viable second. Pauley's book is a step aside from what you might expect. She weaves in her own post-career experiences with those of the people she's interviewed for her segment on Today. She teaches by story, not sermon, embracing mutually exclusive notions. What works for one person might not work for another. 'Your Life Calling' does not offer all of the answers; but it does offer examples of answers that worked. Pauley's book is anything but simple, though it's quite easy to read. She starts out with the story of Meg, a woman stricken with cancer, who recovers and then asks the pertinent question; "What am I going to do for the next 40 years?" Pauley is part of all that question implies, and she follows up with a variety of answers, including her own. As 'Your Life Calling' unfolds, readers will find a mixture of Pauley's colorful life, played lightly, and mixed with the stories she's found for her TV series. The prose trends to the reportorial, and she's clearly influenced by the styles required for TV. She works fast, and cuts time to suit the story and the point. Readers will be surprised by both her interest in and perspective on the future. In one segment, she offers visionary prose as she imagines how she might live some years down the road. Her grounded, low-key style keeps it all together. While there are elements of the self-help genre to be found here, Pauley steers away from advice and towards example. Her subjects are varied and many of them are not wildly successful either before or after their post-work decisions. The paths taken contradict one another in terms of strategy. The book as a whole is positive and forward-thinking, but never starry-eyed. Pauley employs a series of aphorisms well, playing them like choruses in a Springsteen ballad. As a reader, I'm in precisely the same pickle as many of Pauley's subjects in this book. One career is behind me and the second cannot be said to be going well; but it can also be said to be going very well. Still, Safeway is not accepting author interview CDs in lieu of cash. For me, 'Your Life Calling' offered some interesting thoughts, a variety of approaches to my own dilemmas, and a believable positive vibe. We're entering a sort of economic singularity. My parents both spent their "middle age" ensconced in one job that paid out with retirement bits on top of Social Security. That's inconceivable to me, but I'm at present not seeing any real alternatives either. Readers may want to look to a podcast consisting of the sound of me pushing shopping carts across the lot in the local Costco. 'Your Life Calling' maps out a variety of responses to the disappearance of "The American Dream," and offers some viable flashlights to shine in the darkness ahead.